How is the practice of meditation in Nepal is meaningful & progressive? Meditation in Nepal is logical and favorable in the sense that Nepal is a spiritual country wherein many people including Buddha got enlightenment through meditation. It is the place from where entire spirituality was flourished throughout the world. Many people had achieved enlightenment before the time of Buddha, and after the physical life of Buddha. But, there was the highest number of people to get enlightenment contemporary to Buddha through his meditation. Many people practiced meditation in Nepal from the ancient time till now. It is a historical place for practicing meditation and spiritual upliftment. Many people have been benefitted with the practice of meditation in Nepal. Nepal has innumerable places where meditator can uncover the e anteriorly truth through meditation. The spiritual vibration makes the meditation practice in Nepal meaningful and progressive.The geographical condition and temperature also favor the meditation in Nepal. The combination of Plain, Mountain, Hills, and Himalayans are diversified geography in Nepal. Different types of vegetation are found here. Temperature and climatic condition play an important role in a better practice. It is neither too cold nor too hot. All the factors of environment suit for the meditation. Thus many people from different part of the world come to Nepal to practice meditation. It is observed that all the sages belong to this place wherein they practiced meditation and share its nectar in the entire world. We have studied the glory of the meditators and the holy person of the past, which were belonged to Nepal. Meditation in Nepal is important in the sense that most of the Nepalese are highly interested in spiritual activities. They love meditation and help people to progress forward whoever are practicing meditation. Any activities regarding meditation are considered as divine work in Nepal. People have deep respect and devotion to meditation. It is treated as a heavenly path which bestows all the divine happiness. Some people perceive meditation as a method of psychological revolution, which clears all the hindrances and defects of mind and purifies it, which naturally uplifts the mental status of a practitioner. People in Nepal clearly understand that the meditation is the bridge that connects the relationship of visible form with invisible form, and many have experienced their unity and the divine relationship. The ponderability and importance of meditation have been realized by a maximum number of people in Nepal which creates a massive flow of people towards meditation in Nepal. Most of the people in Nepal are with the heart of spirituality who dedicate their life to find the supreme reality which is beyond the realm of physical or material effects. They have the hereditable character to seek the meaning of life in immortal and imperishable things rather than mortal matters and changing phenomena. They try to perceive the reality of invisibility of the divine nature. Thus blissfulness, tranquility, and happiness are their spontaneous nature as they do not depend upon external factor. In other words- they understand that the true source of happiness and peace is within the self. So, they practice for being introvert followed by meditation. Thus, there is a facility of meditation in Nepal in every part of the country. Now in this modern world, people have a deep study on Meditation. Each individual requires a perfect health for all-round development and progress. 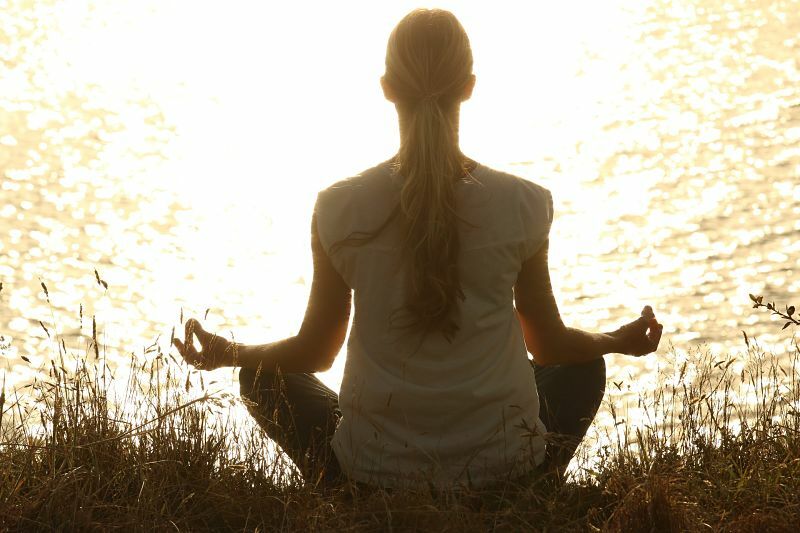 Now, it is known and realized that meditation is the best medication through its regular practice. They understand that real health is nature-gifted or God gifted. It means the immunity power is an innate factor and it is the meditation which boosts immunity power, hence, bestows the real health. Thus, many of the people depend on spiritual law and meditation which give them entire health. So, people have generated a favorable environment for practicing meditation in Nepal. So, many foreigners and tourists from various parts of the world come to Nepal for yoga teacher training, meditation, yoga retreat, astrology and to enjoy the influential Himalayas. These types of activities are preponderatingly centered around the Kathmandu Valley. Pokhara is also becoming more and more popular for yoga trek and meditation, yet, each of the places is favorable for meditation in Nepal. Besides the practice of meditation, Nepal provides the study of meditation as well. The origin of meditation, fundamental laws, and teachings of meditation, originator, and masters of meditation and purpose of meditation etc. are detailedly taught in Nepal. People can understand the meditation through the level from theory to practice. 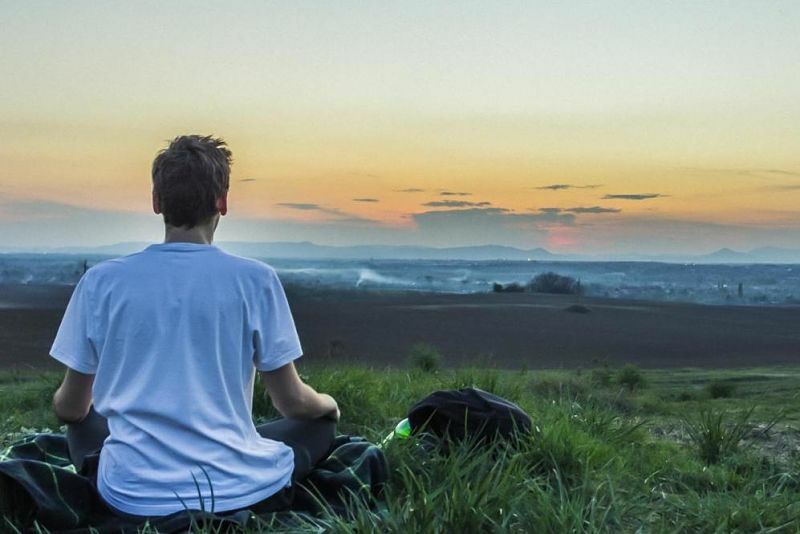 Though the mindful meditation is famous and effective throughout the world, there are many techniques of meditation. Different types of meditations are found in different religion and different institutions. For mindful meditation, people practice Vipassana meditation of which the founder was Lord Buddha, due to which the highest number of people got enlightenment during his period in comparison with other periods of the history. Most of the practitioner reveals their experiences regarding Vipassana meditation as a liberator of all physical, mental, social, and other visible and invisible sorrows; as well as a bestower of enlightenment. Besides, there are many other types of meditation in Nepal. Osho talks about more than 108 techniques of meditation, those all are taught in Nepal. Some other techniques of meditation which are taught in Nepal are- Shivayog meditation, Kriyayog Meditation, Chakra Meditation, Hypnotic meditation, Past-life regression meditation, Dynamic meditation, Kundalini meditation, Swaryog meditation, Nada meditation, Tratak (with candle, moon, sun..), meditation with mantra (powerful enchanting especially in Sanskrit language), etc. These meditations are normally taught and made practice in different institutions. Besides, there are some hidden techniques of meditation that are limited to the sage who have been dwelling their penance far from the human society especially in the dense forest and the den of the mountain and Himalayan. Those divine personalities are not accessible for all and for common people. The student must be with a pure heart and should possess a capacity to endure the all types of difficulty, in order to be eligible to meet them and receive the technique of meditation. With the practice of meditation, an individual find the real master (the guru) within the self, which leads him to the final destiny.